Jackie has more than 30 years professional experience in nursing, managed care services for government programs, and leadership. Her accountabilities include the Medicare Advantage and Federal Employee Program care management teams, training and regulatory compliance. She is a member of the Winston-Salem Chamber of Commerce, as a representative for Blue Cross NC, a member of the Winston-Salem Black Chamber of Commerce and the President of the Board of Directors for Winston Salem Delta Fine Arts, Inc. She also maintains memberships in several other community and service organizations. 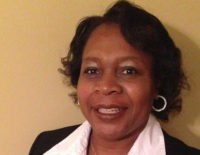 Jackie received her Bachelors of Science in Nursing degree (1986) from East Carolina University, case management credentials-CCM (1999) through the Commission for Case Manager Certification, and a MBA degree in 2005 from Winston-Salem State University.